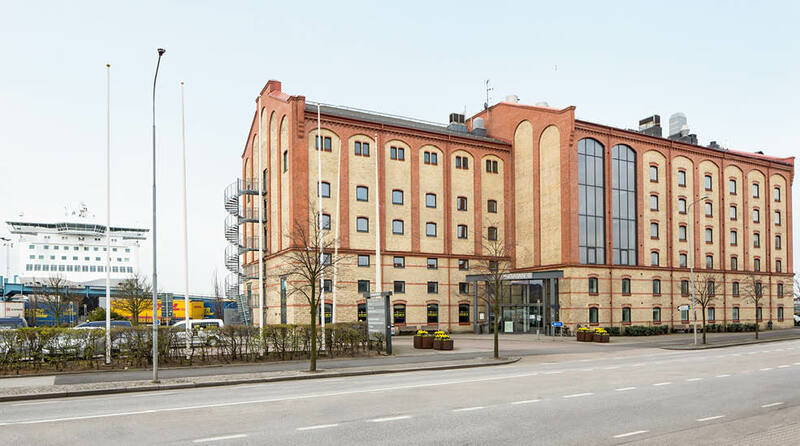 In central Trelleborg, near the harbor and within walking distance of shopping, restaurants and tourist attractions, we find Clarion Collection Hotel Magasinet! A cool hotel located inside an old granary from 1904. The Clarion Collection Hotel Magasinet, formerly known as Trelleborg Hotel Magasinet, enjoys a unique location right next to the ferry terminal. It is also just short walk away from central Trelleborg where you'll find a good range of shops, cafés and eateries! This cosy hotel has 59 lovely rooms, a large breakfast buffet, as well as dinner and afternoon sweets that are included in your room rate! The Clarion Collection Hotel Magasinet is our first hotel in Trelleborg. The hotel enjoys a great location close to both the city centre the ferry terminal with stunning views of the harbour! Trelleborg offers everything from shopping to interesting museums, culture, sporting events and beautiful gardens. As Sweden's southernmost city, this is the perfect starting point for exploring the beautiful region of Scania (Skåne). You can enjoy a tasty and generous breakfast at the hotel every day, which is included in the room rate. Also included when staying with us are afternoon sweets and an evening meal. You can learn more about the food and opening hours here. The Clarion Collection Hotel Magasinet is housed in a former granary that was built in the early 20th century and was in use until the mid 1980s. At the beginning of the 21st century, the building was completely renovated, but many original features remain adding a wonderful charm! Walking distance to the hotel if you arrive by train or bus, approximately 250 meters. Taxi from Malmö Sturup Airport, approximately 30 minutes by car. Train or taxi, approximately 45 minutes by car.